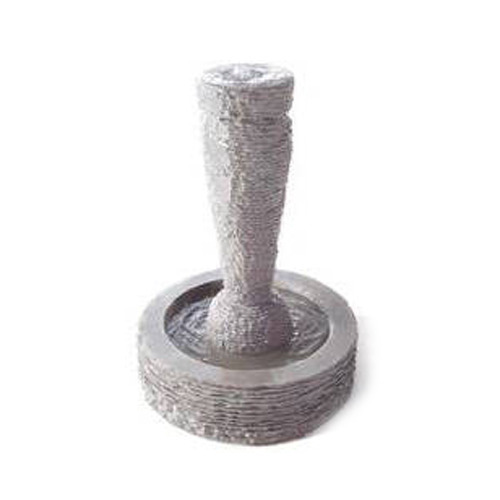 "Creating Water Spaces to give a garnishing look to your outdoor spaces"
Bring the cooling tranquility with our Indoor Stone Fountain into your home or office. The blend of stone and water is a work of art whose dynamics lie in the real. A visual display that is never the same from one moment to the next. Have something in mind. We will design to fit your specifications. And make that home or office corner extra special. 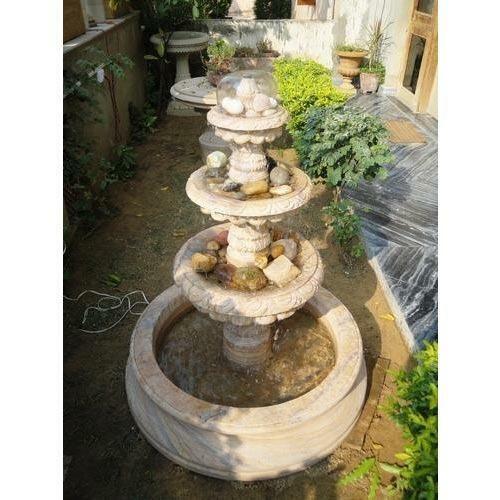 Sikandra's fountains are self contained and easy to maintain. 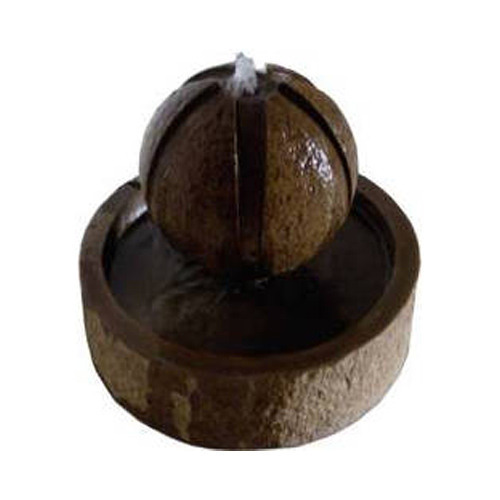 Our offering Millstone Fountain is a scintillating piece of classic beauty that enraptures. It enthralls by its intricate ness with a blend of simplicity craftsmanship. Built with minutest detail of artwork this highest quality piece was a great success on its launch. Moreover these are available in varying designs and colours to compliment variety of themes and style. 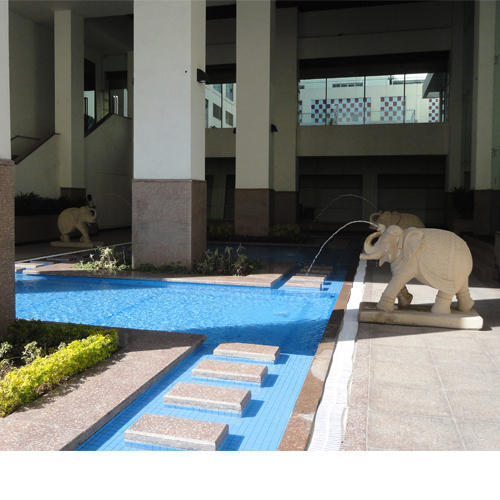 Owing to our expertise in this field, our firm is engaged in supplying an extensive array of charming Stone Elephant at your pool to fill fresh water. 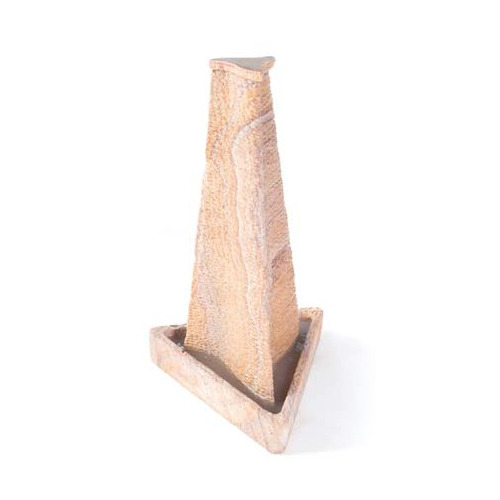 Stone Indoor Fountain from our range of beautifully crafted indoor fountain is contemporary & city-centric. Tall skyscraper effect perfectly suits someone who would continually wish to experience the fast pace of city life captured to perfection in this piece. Available in varying colors and sizes the product is ideal to reflect the image of a jet-setting businessperson. 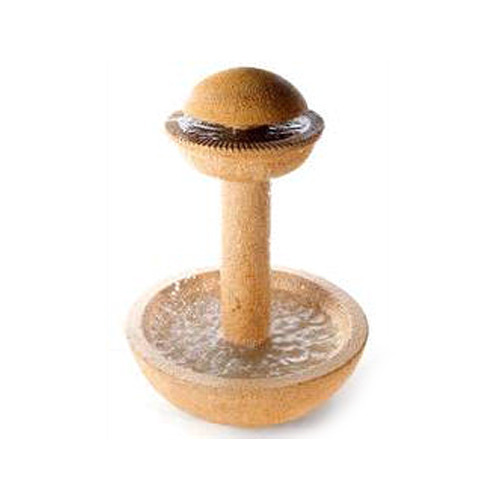 A touch of the Royal is how you can define our this exclusive offering of Sandstone Indoor Fountain. With this piece in your surroundings you will surely feel like a king, as this is a reminiscent of stone fountains in the palaces of kings from the Mughal era. Moreover this is available in different colors and sizes to suit different themes and style. 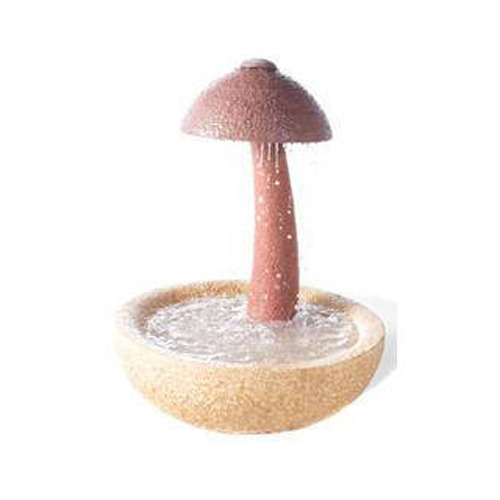 This gentle hued piece from our range of Bowl Water Fountain is startling in effect due to its unusual design. The multi hued stone globe on a bowl of cooling water is dramatically effective on hot summer days. Its cooling tones will make you forget the harsh sun rays that can sap your energy. Revive yourself with the gentle spray from the waterfall. 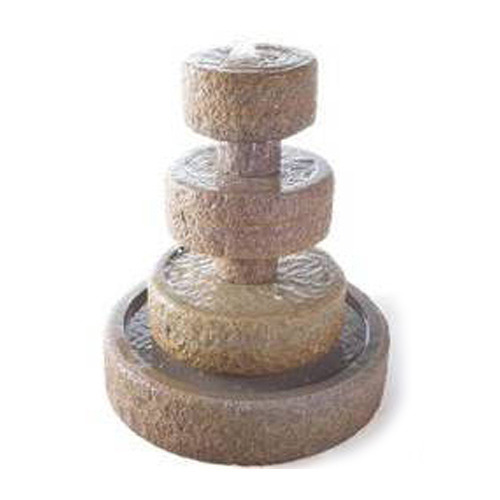 Make a bold, elegant statement with this stone heritage piece of 3 Tier Indoor Fountain from us. It stands unmatched in quality and value. The soothing hues of the stone in ornate design sparkle with the fall of water to refresh and rejuvenate you. For better choice wide variety of sizes, colors and finishes are available. A Floor Water Fountains offering from the company that brings in an element of the rustic. Like an old stone well on a country way this piece is just ideal to take one's mind off the stresses of city life. The effect is basic and brings you in touch with nature. It can also be customized to suit your distinct taste. 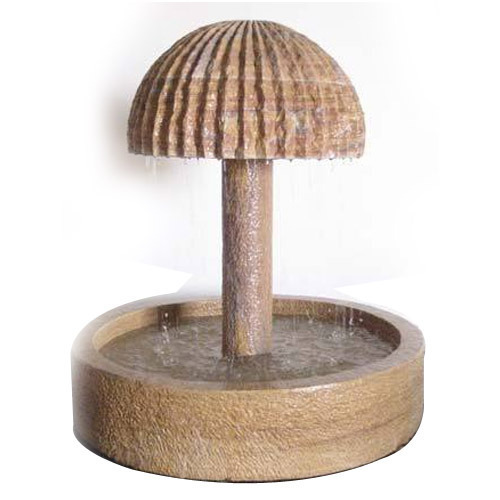 We offer a Decorative Lawn Stone Fountain that brings in the charms of the animal world into your home space. 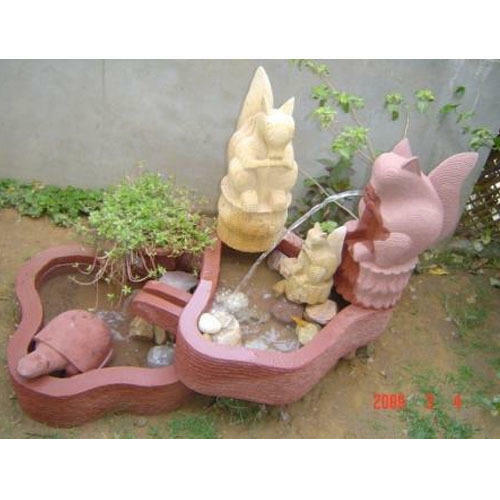 The jet of water, the twin figures of stone spouting refreshing streams of water have a very Indian feel and rhythm that will suit a traditional style home. It can also be customized to suit your distinct taste. 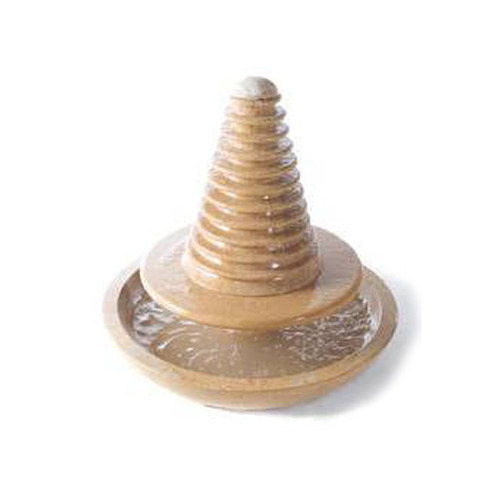 Decorative Stone Indoor Fountains product from our range of exquisite indoor fountain has a monumental presence. Placed in your yard or entryway it immediately raises the impact of its surroundings. 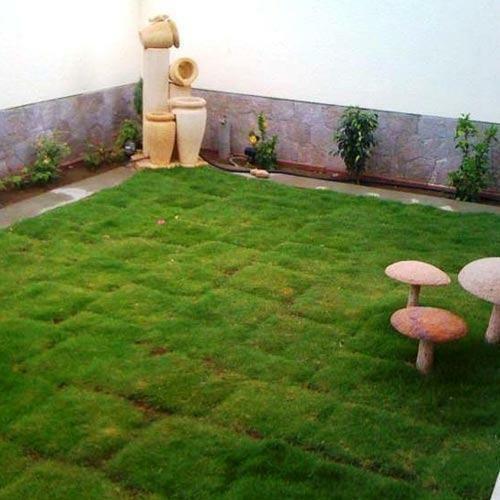 And if placed near a stone seat it will complement the ambience and make you feel at one with nature. To offer better choices this is available in variety of customized options. This intricately designed Indoor Fountain is simply a tall stone structure that belies its purpose. The pleasant surprise you feel with the first rush of water continues at the novel design of the fountain. The soothing colour and imposing effect mix well and offer you a pleasant peaceful surrounding. 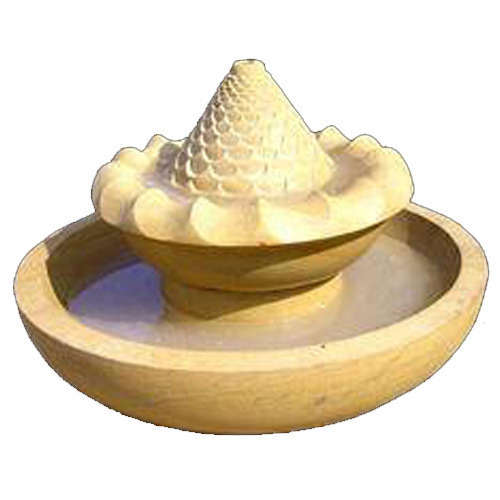 We offer Bowl Water Fountain elegant work of master craftsmanship that is highly intricate in design and its compact size makes it even more special. But as is said 'good things come in small packages. So is with this product. Can be placed in your bedroom where it gently lulls you into sleep. And wakes you up fresh with the sound of water next morning. Moreover this is available in varying colors to compliment different decor. Not to be overlooked, this sophisticated Waterfall Fountain is certain to make a lasting impression with its huge faucet spewing water in a stone receptacle. Its design is a quiet take on old worldliness with lasting beauty. The product is available in an array of finishes and colours. It speaks an attitude that is calm yet imposing. 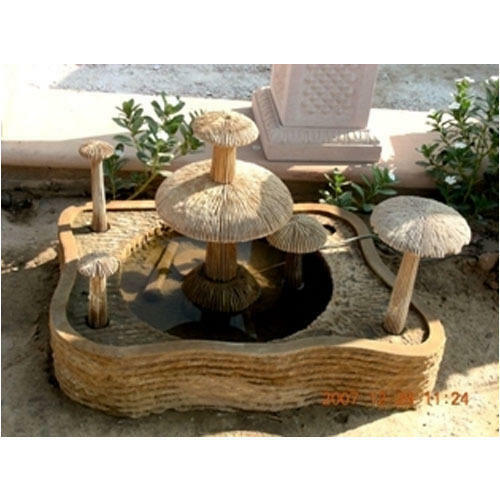 If you are looking for a quaint piece that adds to the natural ambiance to your surroundings then our range Mushroom Stone Fountain is perfect art piece for you. It astonishes you by its unique design. Here the cult of beauty joins the deep respect for the environment and each piece is pure refinement in its simplicity. For better choice these are available in varying colors to compliment every style and theme. A Stone Indoor Fountain in design and beauty our stunning range of skyscrapers is sure to take your breath away. These skyscrapers are widely appreciated for masterpiece of order, apparent simplicity and completeness. The deliberate rough effect is offset by the soothing hues and the product is designed to cater to our valued clients. His tastes are taken into account and defined in our stone pieces. We offer a beautiful combination of decorative and soothing elegance in our vast range of Umbrella Fountain. Feel the touch of cool water to add to the ambient mood of your garden decor. The concept of the umbrella sheltering water is unique and its almost as if the stone shelter is keeping the waters cool thereby cooling the environs. 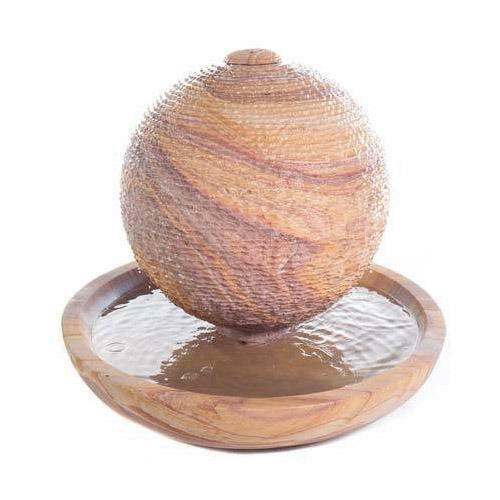 Our offering Water Tower Bowl Fountain is a scintillating piece of classic beauty that enraptures. It enthralls by its intricateness with a blend of simplicity craftsmanship. Built with minutest detail of artwork this highest quality piece was a great success on its launch. Moreover these are available in varying designs and colours to compliment variety of themes and style. 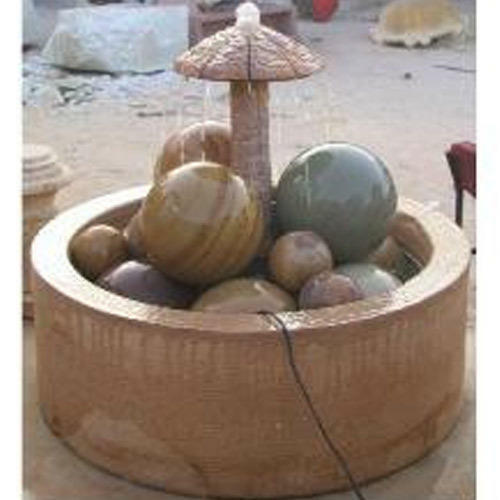 We offer to our clients a distinctly unique stone crafted Lotus Bowl Stone Fountain that will simply spell magic that with its eye-catching magnificence. United by love of stone hues the craftsmen have brought out the shades and natural colours of stone with artistic mastery. Each piece is sheer perfection with no flaw in evidence. These are available as per clients' requirements. 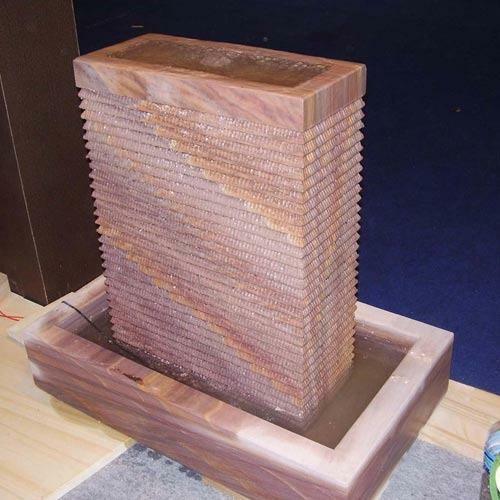 Looking for “Indoor Stone Fountains”?